counting) that he turned his country retreat into a hard-working farm and the worn-out kitchen there into a design showpiece. 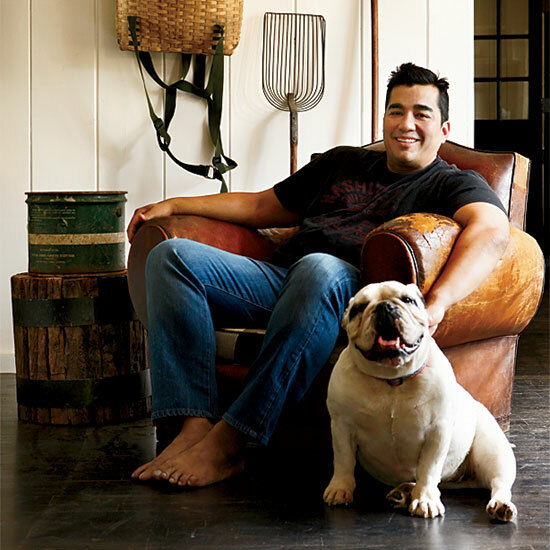 Jose Garces is such an overachiever (with 17 restaurants and counting) that he turned his country retreat into a hard-working farm and the worn-out kitchen there into a design showpiece. knew one thing, though: The farmhouse kitchen, which hadn't been updated since John F. Kennedy was in office, needed an overhaul. Working with designer Gretchen Kubiak, he transformed the space, installing professional-grade equipment, like a BlueStar range (right). Now, the kitchen is both a great place for Garces to cook dishes like chicken and rice (above) for his family, and also perfect for the farm dinners he plans to offer to the public. His kids are ready to help: "My daughter and I once baked 64 cookies in 12 minutes," Garces says.